Home / Children's Socks / Misses Anklets Socks, per doz. MADE IN USA Misses Anklets Socks Beautiful and Sporty Anklet Socks, turn heads at on the street at the gym or anywhere you go. 100% Nylon keeps you cool in whatever your doing. Category: Children's Socks, Women, Women's Sport Socks. 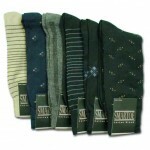 Tags: Ankle Socks, casual socks, exceptional comfort, Exceptional looks, exceptional VALUE!!! Ultra Sheer Pantyhose! 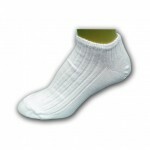 100% Nylon, Nylon, sport socks, White Socks, womens socks.